It wasn’t a particularly pleasurable time in the Middle Ages. You didn’t have proper healthcare, wars were erupting in every corner and there wasn’t even Uber. In terms of gaming, the Middle Ages are often represented through the same old design but with added magic and dragons, something which has become even more prevalent thanks to the likes of Game of Thrones and Skyrim. 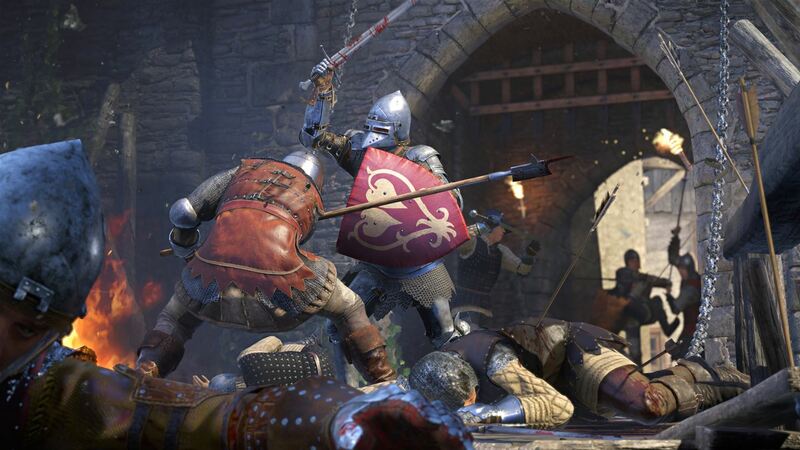 Kingdom Come: Deliverance feels a lot like Skyrim, especially in regards to the quest led main storyline, the open world and the many options to take. But here in this world you will most likely die of hunger, rather than at the hands of a powerful Elf mage. 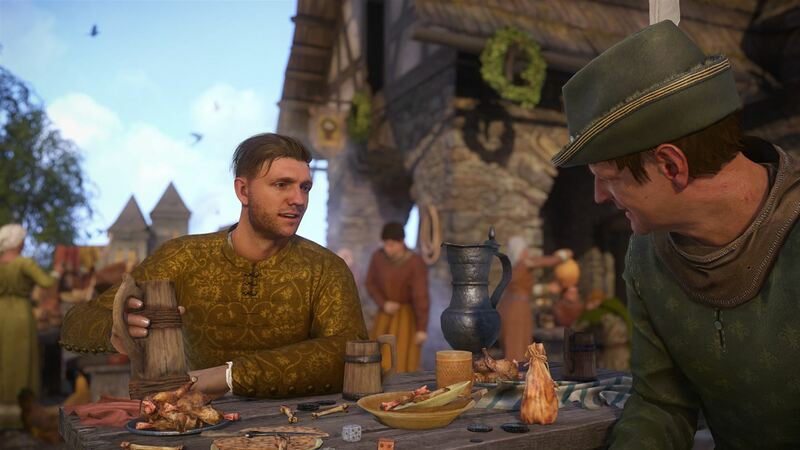 This is where the quest markers and side quests of Kingdom Come: Deliverance begin to open up, and it’s up to you to decide exactly what you what you do first. You will however need to decide on what attributes you wish your character to focus on, with all the usual strength, charisma and more in place. These are vital too, as, for example, when you meet other characters your charisma and speech levels will help you persuade or trick a person into getting exactly what you want. It’s not all about the chat though and across on the combat side you find yourself sorted with a sword – at least to begin with – but that soon goes out of the window and you are left to gather up your own weapons. You will get involved in an old-fashioned punch up too, and it’s the best fisty cuff fight that I’ve experienced in a game. You get to block, swing, jab and kick. But it’s all about timing, using your stamina and picking the best moment. This applies to the sword fighting as well, as you learn to add stabs, swings, counters and feints. It’s all very complex, but interesting and it works well. It does however make every fight a real challenge and a matter of life and death. Then you have the archery, which is one of the many things in Kingdom Come that takes a bit of getting used to; you select your bow, pull back the RT and then pray to your inner Robin Hood. The great thing about all the fighting modes in the game is that whilst they start off tricky, with practice and working out your strategies, every battle turns into a delightful game of chess. Just with death. Less successful are the pickpocketing and lockpicking skills. You basically have to action a fine piece of dexterity and control to do even the most basic of challenges. In lockpicking, I feel that the system is much more suited to the PC version and a mouse than on console with the controller setup. What it did do though is make me shun a life of crime and go on the straight and narrow. Maybe that’s what the developers were planning all along. The quests that are found in Deliverance come in three basic strands. The first is that of the story mode which follows our hero’s rise from the ashes and his quest to seek revenge. Here you learn all the skills and tricks you need to further those goals and rise up through the medieval ranks. You get involved in some night watch work, hunting, rescuing, fighting and plenty of detective work. All this comes across brilliantly and it really captures the heart and soul of the game that is intended. The side quests are plentiful as well, including thieving, hunting quests and some courtship that are genuinely really interesting. And then there are random encounters and timed quests that you can chance upon – but these can be very fun as well. I love the sense of real-time consequence that is found running through the veins of Deliverance. 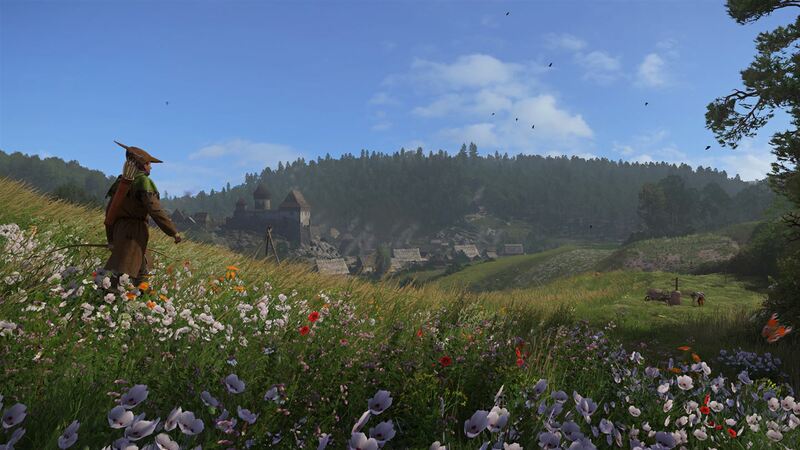 For all the good, and for the many, many hours that are promised with Kingdom Come: Deliverance, there are of course some bad bits and this is a game that suffers from quite a few bugs; my lovely horse Pebbles was stuck in a bush with no hope of getting out, a mysterious cow suddenly appeared in the middle of the road and my cursor swiftly removed itself from the critical map. There are also bigger, less frequent bugs that can cause quests to need a restart, and, on the rare occasion, a complete reboot of the game. These issues haven’t ever impeded my enjoyment, but I can understand how it would put others off. It must be mentioned that the developers are patching the game in increments and at time of writing most of the major problems have seemingly been wiped out. There are other small annoyances, but on the whole, the good far outweighs the bad in a game which delivers so much ambition. And then that gets us on to the visuals and the audio, and graphically, Deliverance reminds me a lot of Skyrim in its visual style and influence. The world itself is brilliantly rendered and the historical design of the cities, towns, buildings, and countryside is remarkable. Just going on a hunt at dawn with the rain pouring down will take your breath away. The character design is very good as well, with brilliant facial structures and superb costume designs. A special mention must also go to the beautiful loading screens and the design of the paintings within them. The soundtrack for Kingdom Come meanwhile is a great mixture of an epic ‘Lord of the Rings’ type musical score that is both rousing and emotional. When you enter a fight the music is perfect for building the tension and atmosphere for the encounter. Other moments use a medieval score – especially when in the taverns and traveling through the towns. The effects, animal noises, and grunts are all brilliant as well. The voiceover work is of a high standard too, with a wonderful array of acting talent on show in the game. I do query the choice of accents from American, to West Country to Germanic though. To conclude and as long as you can see past the bugs, then you will love your time in the Middle Ages. 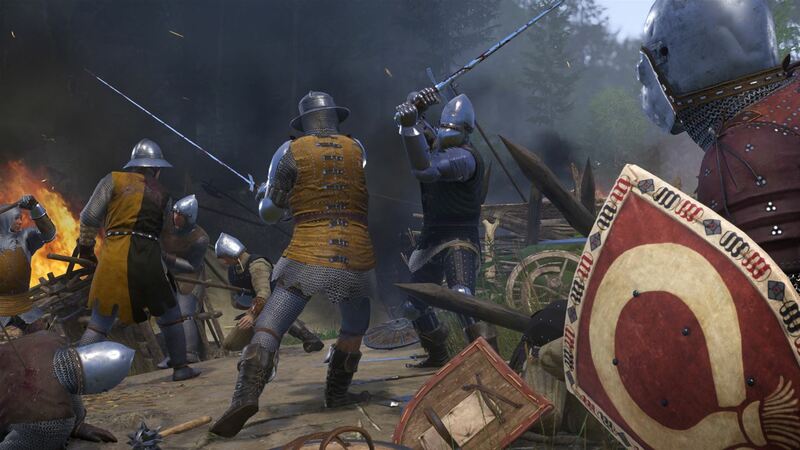 Kingdom Come: Deliverance delivers a huge, complex world with a host of things to get involved in. The story is well written, brilliantly acted and expertly executed. I am worried that the buggy nature of the game will put many off and whilst the vast majority of the problems shouldn’t worry anyone too much, it can get a tad annoying. Now, please let me get back on my horse to woo a noble lady, take her to the tavern for a game of dice and get into a fight with a sweary drunkard. Good day to you, Sir and Madam.